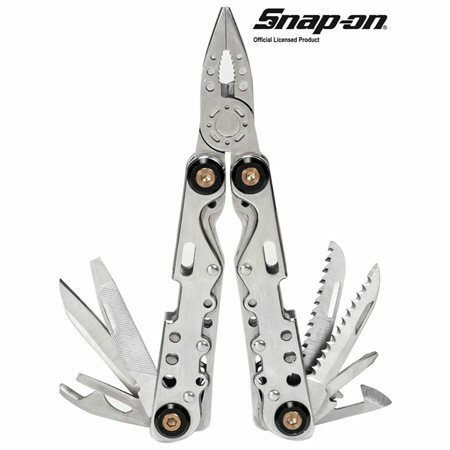 Pocket Multi Tool By Snap-On Only $14.95 Plus FREE Shipping! You are here: Home / Great Deals / Pocket Multi Tool By Snap-On Only $14.95 Plus FREE Shipping! Ideal for camping, hiking, glovebox, worksite and more. This compact multi-tool packs thirteen useful tools into a lightweight polished aluminum chassis. Unique cut-out anodized handles save weight and look cool too. Stainless steel tools resist corrosion, while the adjustable set screws let you tighten everything up as needed. Get the Pocket Multi Tool By Snap-On Only $14.95 Plus FREE Shipping!